A leading player in the region, KMC Holding is a fully-owned subsidiary of Kuwaiti Finance House which was established in 1996 to manage real estate projects and contracting. Located in Hamala area of the kingdom, Liwan has been designed by international design consultant, CallisonRTKL. 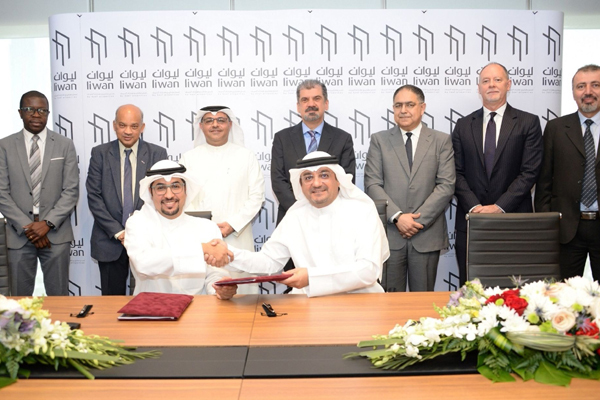 Located over a sprawling 122,000-sq-m area, Liwan will boast several retail outlets, restaurants and cafés besides residential units, supermarket, cinema, a family entertainment centre and open-air spaces, said Seef Properties CEO Ahmed Yusuf after signing the agreement with group acting general manager and KMC Bahrain board member Sulaiman Al Asaker. The project, which is expected to be completed by the fourth quarter of 2019, will elevate the kingdom's real estate sector, bringing in a new destination for residents and visitors. The project comes as part of Seef Properties’ strategy to expand its asset portfolio which will positively reflect on the kingdom’s economy, remarked Yusuf. Additionally, Liwan is designed to meet the market needs with its residential and commercial facilities, said the top official. "We are confident that the project will add value to Bahrain's real estate sector, further attracting foreign investments and contributing to the growth of the economy," he added. The mixed-use developnment is located opposite to Batelco’s main headquarters with the Eastern portion of the site fronting on to Wali Al Ahd Highway. Seef Properties Chairman Essa Najibi said: "Awarding of this significant contract comes as a result of an extensive screening process and we are confident that the project will be completed according to the schedule." "The real estate sector in Bahrain is witnessing a steady growth and this is expected to continue in the coming years," sated Najibi.